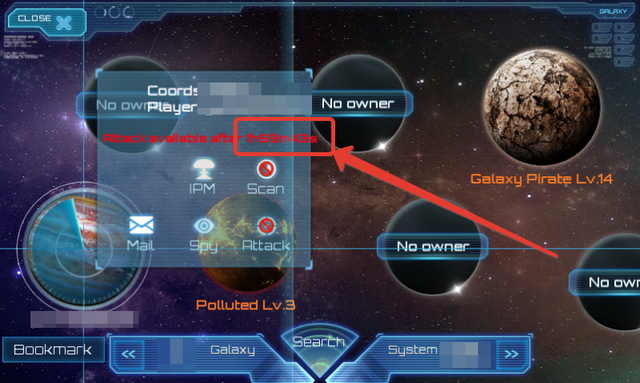 now: information about protecting the planet after the attack - visible only for enemies! it needs to know only the owner of the planet! correct this blunder of the game. Can you explain in more detail what you are taking about? Maybe included some pictures? I write about: that the owner of the planet doesn't know if the planet is protected or not. he doesn't know the time left. this information should only be for him. this information is not available to the owner of the planet. it's nonsense. Oh, you want to know when your own planet will be vulnerable to attacks again. over the years i don't think i ever cared to know that myself, but i can see the merit in it. Especially when some attacks don't give an attack cooldown at all to your planet. Others still need to be able to see the cooldown as well, to avoid getting the message that it's not available to be attacked all the time. JustNeo wrote: Oh, you want to know when your own planet will be vulnerable to attacks again.